Krystal and my email is krystafer@gmail.com. I usually leave out the O, unless it's a light oil, my hair is ok without oil. I do currently use the LOC method, using Cantu Shea Butter Leave In, a mixture of coconut and castor oil, and Bella Butters Whipped Shea Butter. I'm still trying to perfect this method though and find products to work with it :). I currently do more of an O-L-C to moisturize. I use to do the LOC method in the first year of my big chop. I use to apply oil (on edges) and butter (on ends) after I apply my leave in. Now I only apply a cream leave in, dont really need to seal with oil, then apply eco styler gel to style. At the end of the day, I do separate my curls with coconut oil then twist, wrap it up pin it down and start all over again. I cowash every day. Yes, I do the LOC Method...I've tried kimmaytube mix....I tried just using a leave in... but I find like do my simple method of coconut oil water and shea butter mix is the best for me. My name is Juwania, and my email address is jaye1974@gmail.com. I use a homemade spritz of distilled water, oils, and a leave in, to add moisture, and I also use the L.O.C. method. LaWanda S (itsmeibfree@yahoo.com) I use the LOC method or sometimes, cream before the oil. Hello, I'm Veronica Pearman and my email is VeronicaPearman@gmail.com I moisturize my hair with Shea Moisture Coconut & Hibiscus Curling Souffle. Thank you! My name is Zanthea Demeterius and my email address is zdemetrius@yahoo.com. And yes, I use the L.O.C. Method to moisturize my hair. My name is Shelly and my email address is shellycurls@yahoo.com. I use the LOC method to moisturize my hair. I'm currently playing around with ways to moisturize my hair some days some methods work better than others but I always do a variation of the LOC method. On wet hair, I'm currently doing oil, liquid, cream, oil. I use BlackOnyx's L.O.C. method: Liquid, oil, cream. I use water(L), an oil mixture (O) (castor, grape seed, EVOO, coconut oil), Giovanni Direct leave-in (C). I moisturize with a water-based product then seal with an oil or butter in the morning and night. 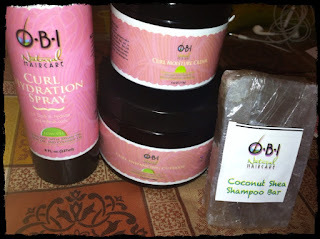 I use a variation of the LOC method to moisturize, instead LCO. I use the LOC method. Name is Tish and email address is Tish@copycatsprinting.com and I use the LOC method.